Are you like most persons who desire to pray, but deep down inside you struggle with knowing if you are praying effectively? (i.e. having the desired results.) 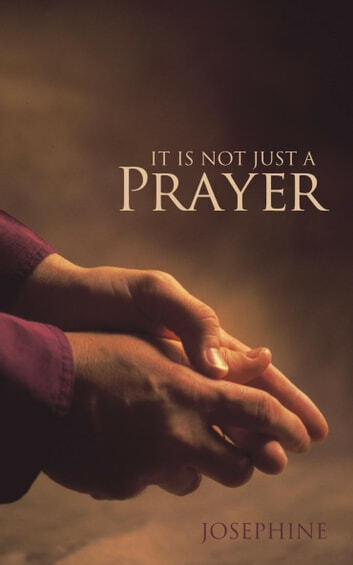 Its easier to pray fervently, because this speaks to how frequently you pray, and the passion, eagerness, and the intensity with which you pray. Its that burning enthusiasm that drives you into the presence of God. Effective prayer is when you get the answer to your question and accomplish that desired result. This is the fruit of a well-cultivated relationship with our father, God. What better way to know how to develop this fruit than to seek the source of prayer, God himself? I carefully read and meditated on the Lords Prayer (Matt. 6:913), and this book is what was revealed to me. I am hoping that after reading this book, you too will be motivated to go after the loving, adoring source of prayer. Please read and be blessed.